Lock in a great price for Wake Up! 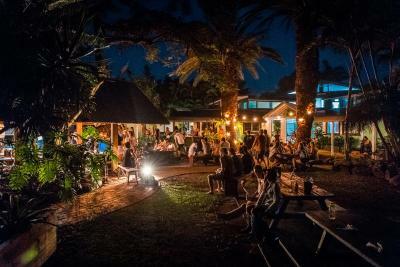 Byron Bay – rated 9.2 by recent guests! Great location, right across the street from an amazing beach! Free surf board and bike use a great convenience. 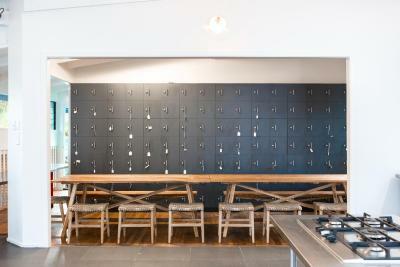 Common areas and nightly festivities make it easy to meet people and relax. Town is a short and gorgeous walk along the beach, and regular shuttles to town very good. The location, the atmosphere. Rooms were clean and most of the parts in the property still looks new. I think, everything from the management and property side was fantastic..
Best hostel I’ve ever stayed at. Their wine and cheese night was phenomenal. They had a great shuttle service into town. Staff were all spectacular. The atmosphere was great here. The kitchen was very clean. Bathrooms were perfect. Free surf boards and bikes to borrow. Couldn’t have been luckier for finding a place to stay in Byron. Location was good but a little out of town, the bar next door made up for it with a great selection of food and drinks. There was only one bar one site that only served beer, which was great, unless you dont like beer! Everything is so neat and tidy and very clean! The staff is amazing! 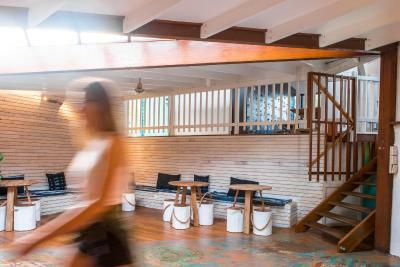 Very friendly, helpful and always in a good mood :) The location is perfect if you want to stay right next to the beach (Just a 1 minute walk across the road). But also just a 15 minute walk along the beach to town. And if you don’t want to walk, there is a regular shuttle all day long. 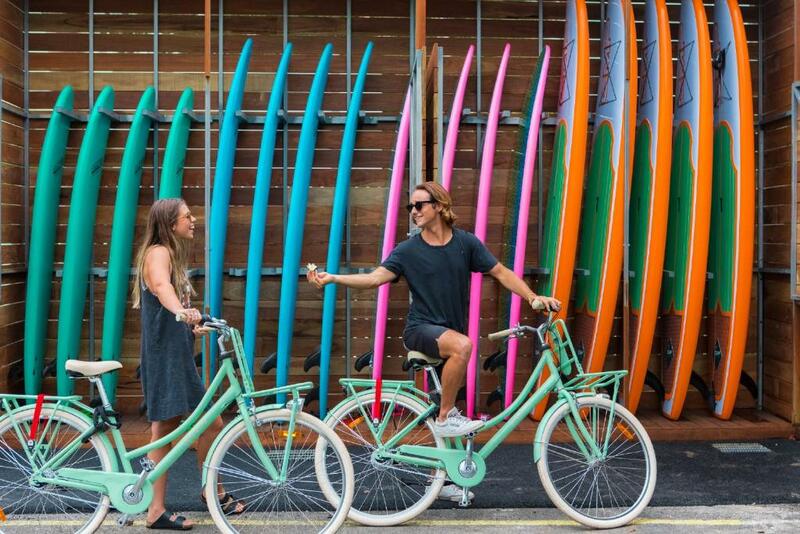 Also you can rent a bike for free to for instance go to the Cape Byron lighthouse. My room had a small balcony, which was really nice. Every single bed has its own light, 2 USB outlets and power outlets. The staff was nice, close to the beach and free rental of bikes and surfboards. The huts had fairly a lot of space compared to usual hostels. They offer free rental bikes which is a big plus. When we arrived with the greyhound we didn't know there were shuttle busses going from the station to their hostel. So we walked all the way up their with our luggage, but doable if you're fit. I loved how friendly the staff was. The rooms and kitchen were kept very clean, which isn't always typical for a hostel. 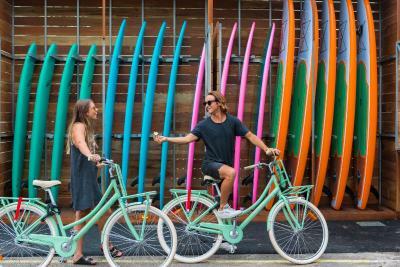 The free surfboard and bike hire, along with the free shuttle made my experience in Byron exceptional. Located at the Belongil beach front and refurbished in 2018, Wake Up! 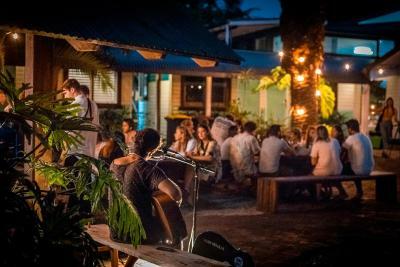 Byron Bay offers modern accommodations with the bohemian beach vibe of Byron Bay. It features an onsite bar and restaurant and free high speed WiFi. Wake Up! 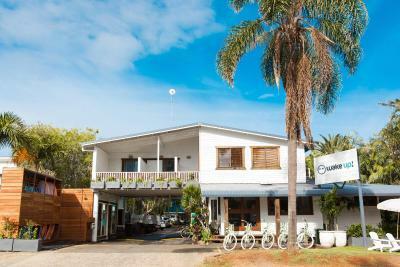 Byron Bay has a wide range of accommodations options, including double and twin rooms with attached bathroom, en suite dormitory rooms with options of eight, six or four beds and female-only rooms. 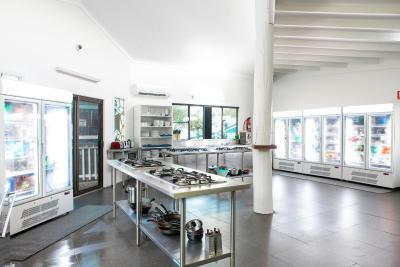 The property has renovated bathrooms and communal areas with fully air-conditioned rooms. Personal bedside lights, power points and USB ports are included for every bed. Guests have access to an extensive list of free activities, including twice-weekly yoga, personal training, sunrise lighthouse tours, surf boards, standup paddle boards and bikes. 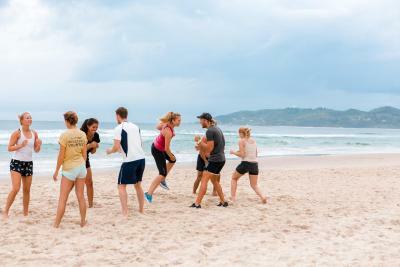 A complimentary shuttle bus is provided to take guests to and from Byron Bay town, which is 1.9 mi from the property. 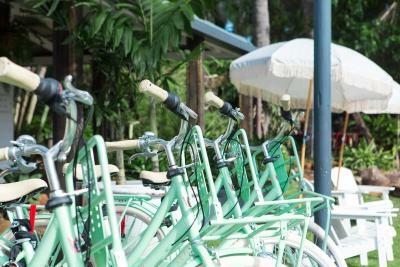 Guests can also choose to borrow a free bike for the five minute bike ride or enjoy a 15 minute walk to the town center. When would you like to stay at Wake Up! Byron Bay? This room includes a double bed, private bathroom and satellite flat-screen TV with DVD player. 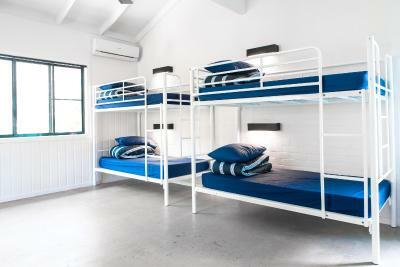 Towels, tea/coffee-making facilities, mini refrigerator and fans are also provided. 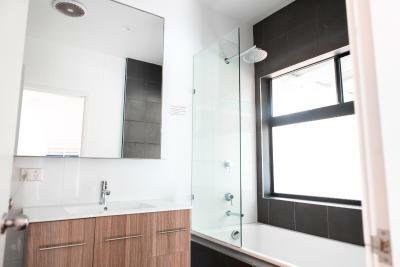 This double room has shared bathroom facilities, which are located down the hall and accessed with the room key. 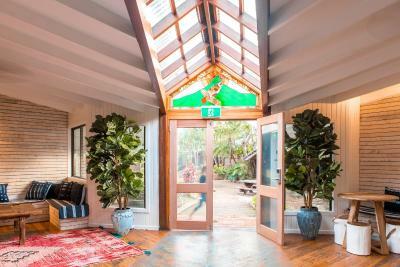 The room is fully air conditioned and opens onto the communal areas. Please note this room can be noisy until 23:00 due to live music at the restaurant. 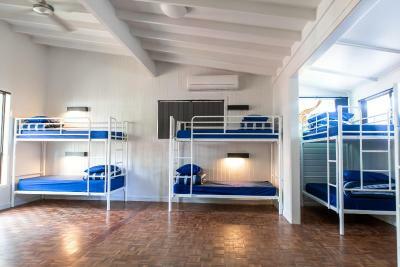 This bed in a mixed dormitory room includes air-conditioning. Area Info – This neighborhood is a great choice for travelers interested in sandy beaches, surfing and beach walks – Check location Great location - show map Guests loved walking around the neighborhood! House Rules Wake Up! 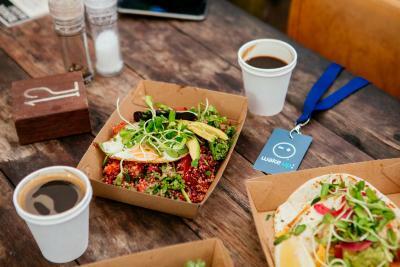 Byron Bay takes special requests – add in the next step! Wake Up! Byron Bay accepts these cards and reserves the right to temporarily hold an amount prior to arrival. Please note that different policies and procedures may apply for group bookings of more than 4 guests. For more information, please contact the property using the contact details found on the booking form. Please inform Wake Up! Byron Bay of your expected arrival time in advance. You can use the Special Requests box when booking, or contact the property directly using the contact details in your confirmation. So close to the beach and bicycles are free. So easy to mission into town. Card didn't unlock some doors,and 4 goes on some. My only complaint is that the mosquitos were horrendous. I wish there were more precautions taken to try and get rid of them. Maybe the shuttle can go a little bit later or just once during the night. 10 pm feels a bit early to shut the communal areas, but didn't impact the stay. Really nice place to stay! Close to some really nice beaches, and plenty of free activities organised by the hostel. Frequent shuttle into town, or easy walk/ride. Would definitely recommend!